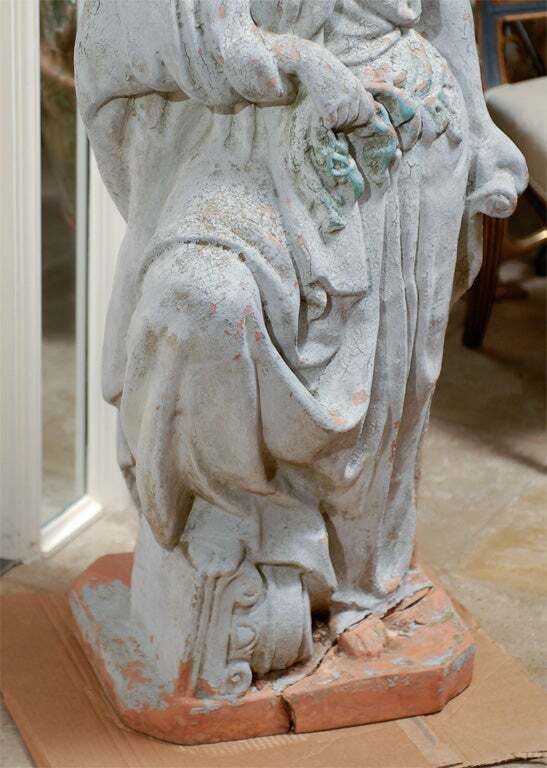 19th century large English terracotta garden statue, old surfaces. Late 19th-20th century carved stone fruit baskets. 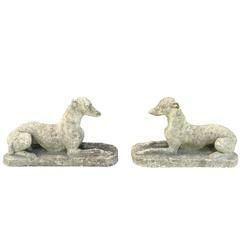 Pair of 20th century cast whippets, garden. A handsome English garden stone badger of composition stone with excellent in the round modelling - Perfect for a garden room or conservatory. 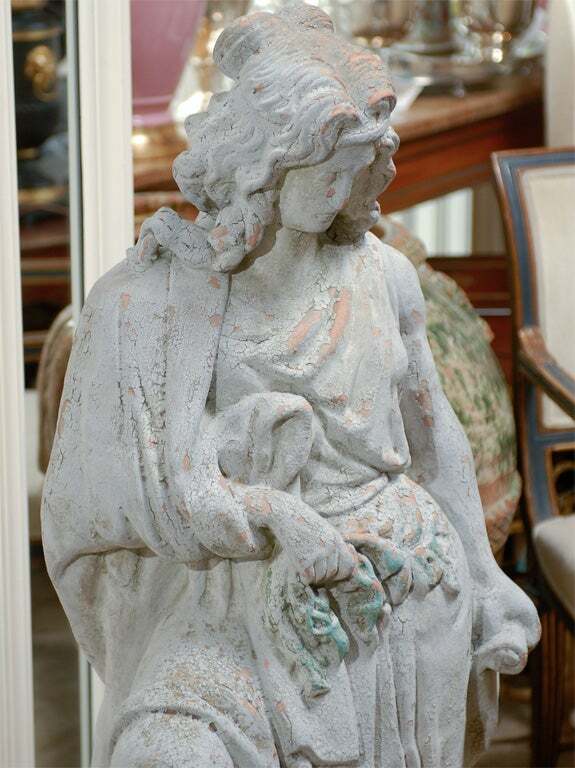 A handsome English garden statue figure of a hedgehog, of composition stone, with excellent in the round modeling. 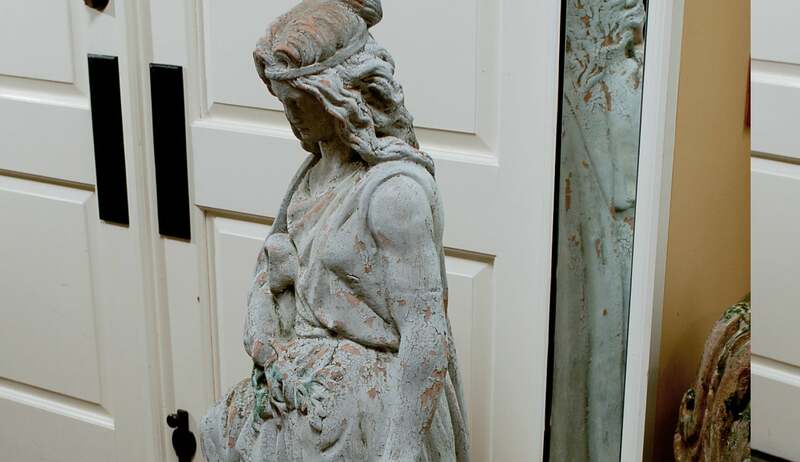 Perfect for a garden room or conservatory. 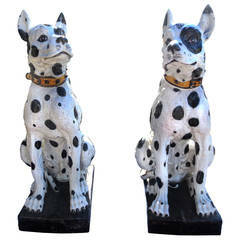 This pair of garden statues originate from France, circa 1850. Measurements: 18'' W x 11'' D x 43'' H.